25% Off our regular price of $12.50 - Now $9.40.Beautiful Spring blossoms and fresh hyacinth fragrance. A perfect gift, includes 2 oz. (57g) aerosol spray and 2.5 oz. 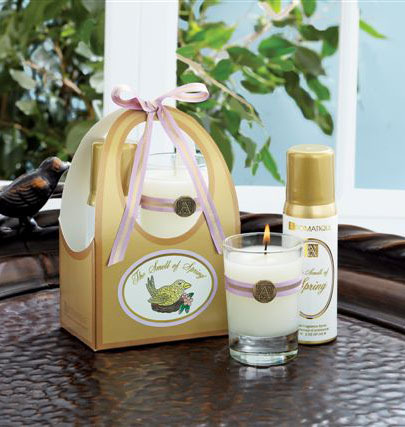 (71g) votive candle in a gold bag with a bow.